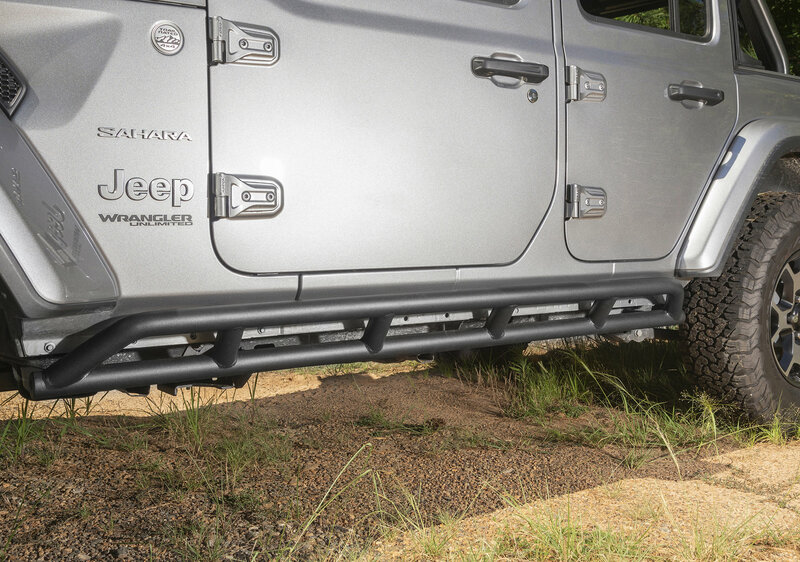 The Rugged Ridge Rocker Guards offer protection for your Jeep Wrangler Unlimited JL body without loosing ground clearance. 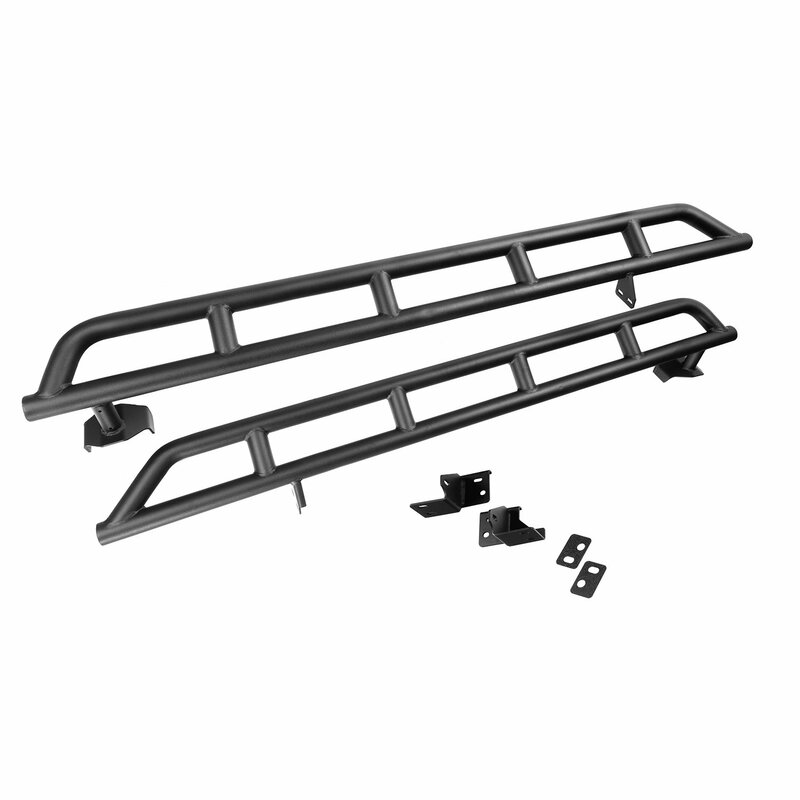 Mounting to the frame for a strong secure mount while wrapping up the sides of the rocker panel for additional protection. 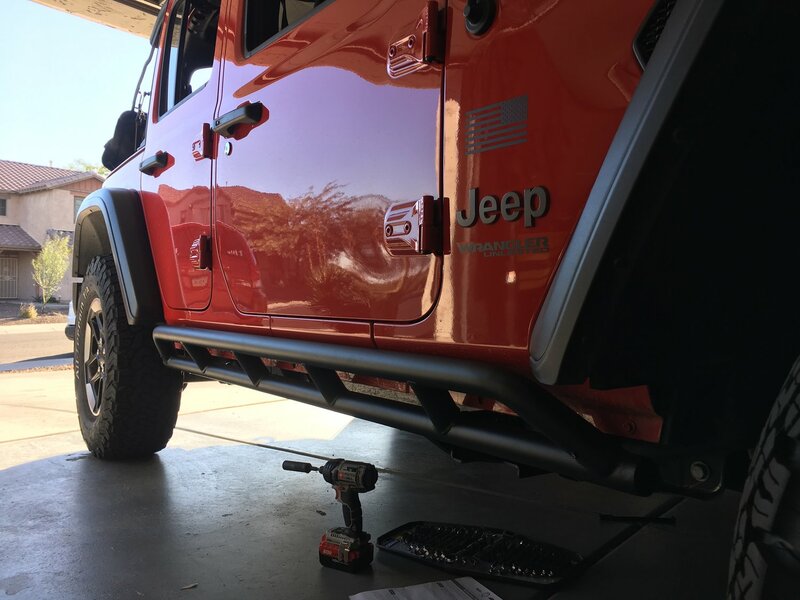 Whether you are wanting extra protection from other drivers or protection from trail obstacles these rockers will do the trick. Offered in a black powder coat finish and sold as a pair. Trail Protection: Protect you rockers from potential trail damage. Whether you side swipe a tree stump, boulder, or offroad obstacle these stout rockers will help keep your Jeep body in good shape. Giving you adequate coverage from flare to flare. One Piece Design: All the tubes are welded together for a strong one piece construction. 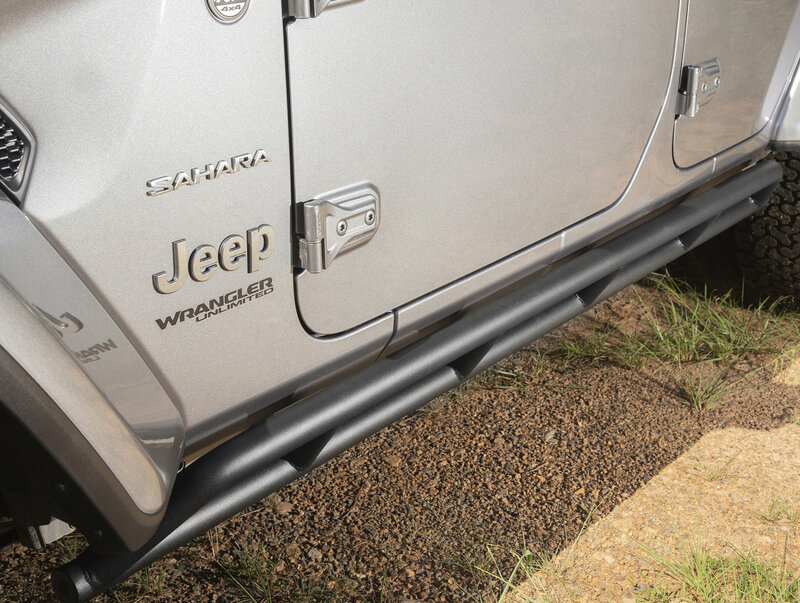 Giving you and your 4door JL peace of mind. Non-Drill Install: These rockers mount to existing holes in the frame for ease of installation. Making it quick and simple including all the necessary mounting hardware.